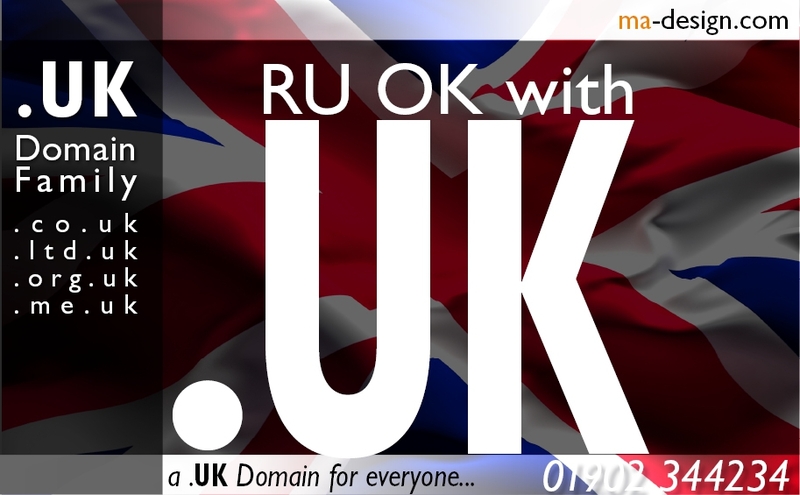 If your looking for a trusted, tried and tested domain for your online .UK Business, then you cannot go far wrong with the new .UK domain or the established .co.uk domain. 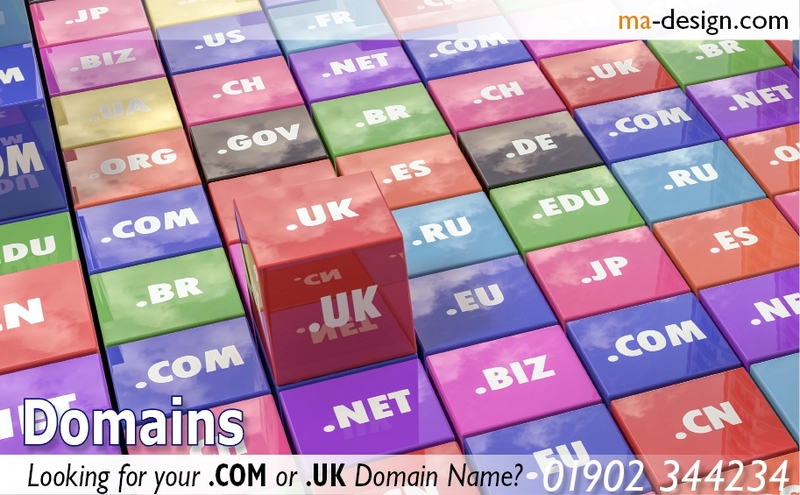 As a Limited company, then you can register the .ltd.uk domain that perfectly matches your company registration name. Not-for-profit or a UK Charity then you can use the .org.uk to promote your online presence. Alternatley, if you just happen to have your own website, then why not get your very own .me.uk domain. A .UK domain for everyone. ma-design.com Creative Social Media that will empower your companys brand., Based near Birmingham, UK, since 1987. We can provide design solutions from business cards, right through to major advertising campaigns. Abstract: ma-design | 32-years creating the right impression for business, Based in Penn, Wolverhampton, West Midlands, UK. With over 32-years of marketing excellence. Our commitement to providing a focused Design Management service for our clients is backed by our 32 years working within a wide range of industries and market sectors, including: Electrical Engineering, Automation and Control, and Automotive. We are so keen to keep abreast of both new technology and marketing processes that can benefit both the packaging industry and end-users directly. In view of this we strongly believe in collaborating and sharing information with other members of key Industrial Associations within the Charitable Trusts, Electrical Engineering, Electro-Mechanical Engineering, Property Management, and FMCG industrial sectors. We aim to please our customers doing our best to provide you with a quality experience, whether you are looking for; Print Management, or want Product Photography services. We will always be pleased to talk with you about Brand Management, Social Media Designer, or Web Hosting Services needs.